Did you install R129 shock mounts? Those are necessary for the bracket to work. ahhhh ok. i will have to get a set of those as well. that never crossed my mind. thank god those install in about ten minutes a side. 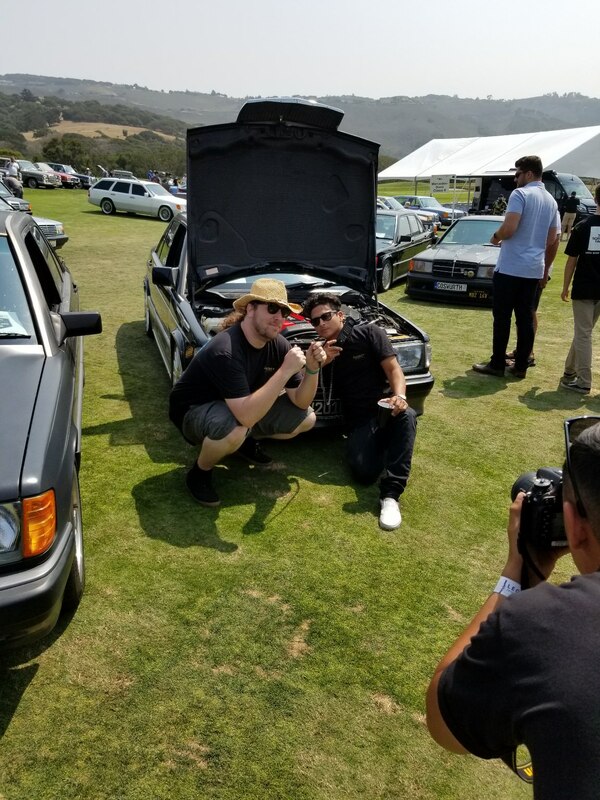 Went up north to Monterey Car Week this past weekend. Of the many places I've been drunk looking at cars, this was among the best. Legends of the Autobahn celebrated 35 years of the W201. Didn't bring mine, but I might next year. so now i just have to replace those stupid vacuum pods inside the dash so the defrost and fresh air/recirc door will work. i think the one for the blend door is halfway working too. the instant i connected the line under the hood, the floor vents came alive. Very cool. I worked the Mecum Auction at the Del Monte Golf Course. We had one of those sell for over a Million bucks. 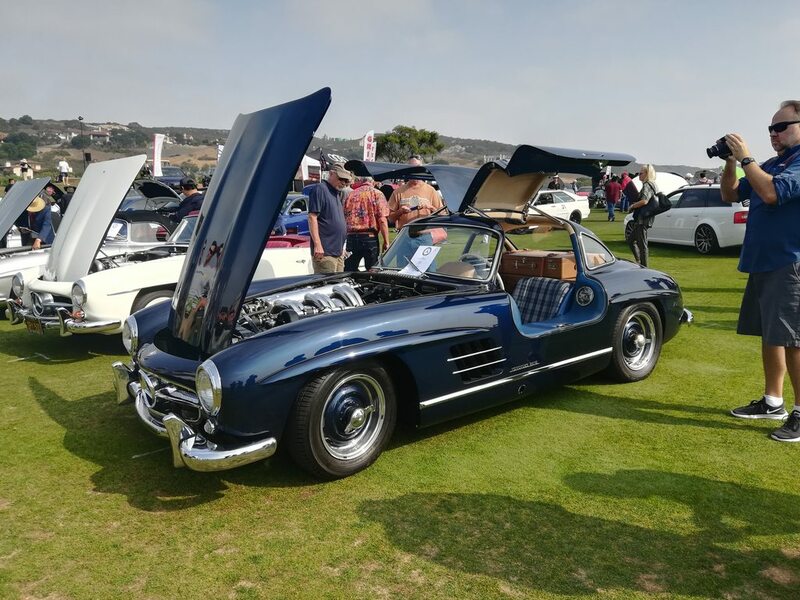 some of the older Benz are absolutely beautiful. i never appreciated them until i got one. oh yeah this weekend is 40 percent off at LKQ.....and they just got a 300e last week. gonna go snag the front bumper cover tomorrow. cant pass that up for 26 bucks after the discount. My 190D is at the transmission shop at the moment. He called yesterday and told me that the trans was worn clap out but should rebuild nicely. I can't wait to feel how it drives with a proper transmission in it, and it'll be nice having 4th gear too and finally getting to go over 60mph. Oh hell. How much is the estimate for a rebuild? Man, it varied WILDLY! The first shop I went to quoted me 7k, if that's what I was looking at I was just going to LS swap the thing. The next one I went to quoted 4400. The 3rd shop (an independent guy, used to work for the 2nd shop and then started his own business) quoted me 1800-2500. Ended up being 2350.